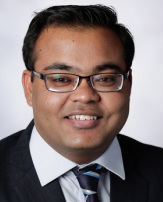 Nabil is a Master of Business Administration (MBA) candidate at the Fuqua School of Business. 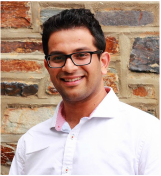 Prior to attending Duke, Nabil worked as a Quality Manager for an Industrial Engineering Group where he implemented and maintained a Management System by defining and applying new organizational processes. He received his master’s degree in Engineering from EPF Graduate School in France. During the last two years, he has been actively involved with “Coup de Pouce Humanitaire” with whom he volunteered on international projects to build housings and a school for impoverished communities in Cambodia and Madagascar. 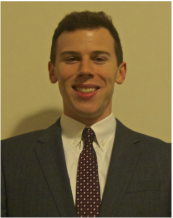 Max is an MBA candidate at The Fuqua School of Business, Class of 2017. 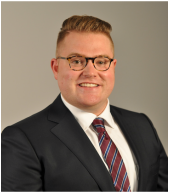 He previously served as Peace Corps Volunteer in Mongolia, where he gained considerable experience in project design and management, and most recently was a paralegal at a corporate law firm in Washington, D.C. He believes that business skills and business activity can and should prove a transformational influence in solving problems and delivering value for society. Max studied government and economics at Hamilton College, where he played varsity baseball. 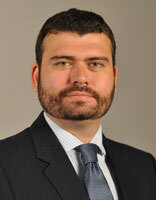 ​Henrique is a first-year MBA Candidate at Fuqua School of Business. 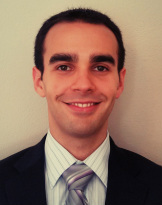 Before coming to Duke, Henrique worked for 5 years as a consultant in Accenture Strategy in Brazil, his experience in different industries range from consumer goods to public services. He earned a BA in Business from University of Sao Paulo, Brazil in 2009. 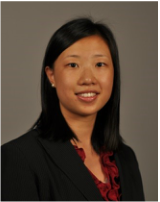 Yingna Liu is a first year medical student the Duke University School of Medicine. Prior to coming to Durham, Yingna received her Bachelor of Arts in Neurobiology at Harvard College in 2012. Afterward, she spent a year conducting social health research in Guangzhou, China while on the Fulbright, a year as a consultant for Accenture, an IT consulting firm, and a year performing qualitative health research at Boston Children's Hospital. Her interests are at the intersection of health and business. ​Connie Ma is a second-year Masters of Public Policy student at the Sanford School. She earned a Bachelor's degree in Sociology from the University of Chicago. She worked in Chicago for three years, first at a social service agency for Chinese immigrants, and then at a high school academic enrichment program in STEM fields. Before attending grad school, she circumnavigated the world through a year of travel. Her policy interests are education, labor, public finance, and inequality. She has participated in DISI twice as a Project Innovator. Connie enjoys photography, playing the ukulele, and reading books by the dozen. 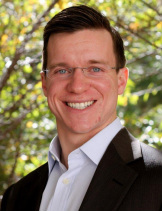 Sam is a Master of Business Administration candidate in the Daytime MBA program at Duke’s Fuqua School of Business. Prior to Duke, Sam taught elementary school in New Orleans as a Teach For America corps member before transitioning into a role in investment banking. Outside of school and work, he enjoys cooking and writing short stories. 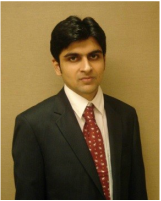 Surhud is a third semester student in the Master of Engineering Management Program in the Pratt School of Engineering. Prior to Duke, he spent two years at Deloitte in their Technology Consulting division. Having greatly enjoyed his experience with DISI and other non-profits over the Spring and Summer of 2015, getting involved with DISI again in the Fall was a no-brainer. His chief interests include sustainability, clean energy and tech, consulting and geopolitics. In his spare time, Surhud enjoys running, swimming, hiking and playing the guitar. 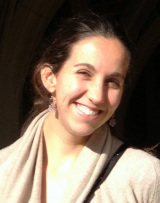 Maria is a PhD candidate at the Nicholas School of the Environment and the Duke Marine Lab. Her dissertation research is on the environmental controls of fisheries production in the Pacific Ocean. Originally from Spain, she earned her BS in Biology in Spain and in Arctic Norway, and her Master's in Marine Conservation at the University of California, San Diego (UCSD). Before joining DISI as a project manager she co-directed the Ocean Filmmaking Camp at Duke Marine Lab, a summer camp with the mission to nurture the talents, identities, and skills of high school students from under-represented communities through training in filmmaking, marine science and conservation. David is a Master's​ of Engineering Management Program (MEMP) Candidate at Pratt School of Engineering. Prior to attending Duke, David received his Bachelor's of Science in Bio-medical Engineering at University of Southern California (USC). He has worked at Duke-NUS Medical School's Cognitive Neuroscience Lab in Singapore as a Researcher as well as lead student teams at USC's IT department. 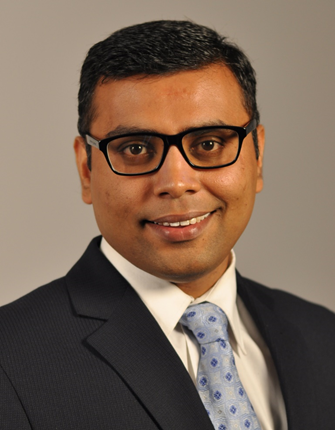 His chief interests revolve around medical devices, product development and management consulting. For the past five years, he has been actively involved with various student initiatives including presiding over an Expat Networking Society and participating in a STEM Educational program. 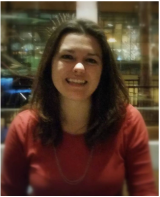 Danielle is a fifth year PhD student in Molecular Genetics and Microbiology researching immune responses to bacterial pathogens. 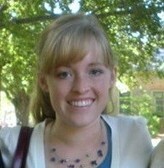 Originally from West Chester, PA, she graduated from Cedar Crest College in 2010 with a BS in Genetic Engineering. She aspires to have a career as a medical science liaison or clinical trials manager. Her hobbies include playing violin and piano. 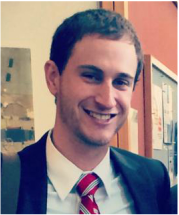 Daniel is a second year Master of Public Policy Candidate at Duke's Sanford School. Prior to Duke, Daniel spent one year working as an AmeriCorps Member in Birmingham, Alabama's public schools. He then served two years as a Peace Corps Volunteer teaching English at a high school madrasa in East Java, Java Indonesia. Daniel's policy interests include project evaluation and international development. He received his B.A. in English and Sociology from Furman University in 2010. 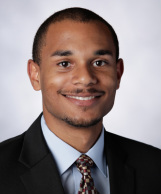 Curtis is a fourth-year PhD candidate in civil engineering at the Pratt School of Engineering. Before coming to Duke, Curtis earned a Bachelor of Science in mathematics and a Bachelor of Arts in physics from Texas Lutheran University. His current research involves the development of renewable energy devices that harvest energy from ocean waves for use in homes and businesses. This is his third semester participating in DISI. Leah is in her first year of Duke's Fuqua School of Business MBA program. 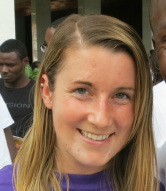 Prior to attending Fuqua, Leah worked in international development in West Africa based out of Senegal and Cameroon on a Canadian International Development Agency (CIDA) internship before transitioning to private sector solutions to poverty at a technology social enterprise called VOTO Mobile based in Ghana. Leah completed her Bachelor of Arts majoring in African studies and her Bachelor of Education at the University of Toronto. Leah is interested in business solutions to poverty both domestically out of her home country, Canada, the United States and West Africa. Keshav is currently pursuing my Masters in Engineering Management at Pratt School of Engineering. Prior to this, He got his undergraduate degree with a major in Electronics and Communication and followed that with 3.5 year stint at Nokia Networks as a Product Developer. His role was to develop software for a telecommunication platform and serve as a scrum-master for a development team. He comes from Bangalore in India. He's passionate about public-speaking and has experience in leading voluntary organizations towards developing this skill. He is a huge fan of soccer and tennis and an avid follower of stand-up comedy! Tatyana is earning a dual MBA/MEM (2016), with a Certificate in Sustainable Systems Analysis. She came to Duke to pursue her passion for retail and consumer goods, focusing on sustainable and socially responsible operations and supply chain management. Her six years of previous professional experience include strategy and operations consulting, government & community relations, and nonprofit program coordination. Tatyana received her B.A. from the University of Virginia, with a major in Foreign Affairs and French, Spanish minor. 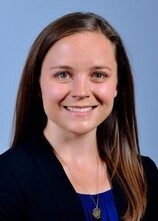 Melody is a first year MBA candidate at the Fuqua School of Business. Prior to enrolling at Fuqua, she worked for five years in management consulting before transitioning to a strategy and operations role at Teach For America. Melody deeply believes that every child deserves to have an excellent education and plans to dedicate her career to solving educational inequity in our country. Melody graduated from Columbia University in 2008 with a degree in Chemical Engineering. Kara is a PhD candidate in Molecular Genetics and Microbiology. The focus of her research serves to develop safe and effective antiviral agents. Originally from New Jersey, she went to university in Montreal, Canada, and spent a semester doing biological fieldwork and outreach in East Africa. In addition to her scientific pursuits, Kara remains active in the community, and serves as a mentor to middle school students with a budding interest in science. She also loves to cook, paint, and travel. Jessica is a Ph.D. candidate in Psychology and Neuroscience researching human neural circuitry for motivation and memory formation. She grew up in San Francisco and graduated with bachelor's degrees in Molecular and Cell Biology and Psychology from UC Berkeley. Jessica loves playing soccer and volleyball, hiking, and eating Indian food. 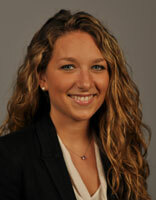 Emily is an MBA Class of 2016 candidate at Fuqua, concentrating in Marketing. Prior to attending Duke, Emily spent 7 years working in the digital advertising industry; first planning media campaigns at JWT, then selling search advertising at Google, and most recently managing digital advertising internally at Neiman Marcus. 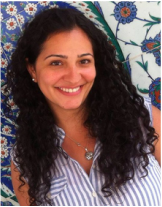 She is from northern Virginia and attended Emory University, where she graduated with her BBA in Marketing in 2007. Carrie is a Master of Public Policy candidate at the Duke University’s Sanford School. Prior to attending Duke, she worked with nonprofit hospitals to improve health outcomes and access to care for disadvantaged populations and to align hospitals’ policies and practices with the Affordable Care Act. Her policy interests include healthcare access, obesity, and food systems. Carrie earned her BA in Anthropology from the College of William and Mary in Virginia. In her spare time, Carrie an avid hiker; in 2014 she completed a thru hike of the Appalachian Trail. 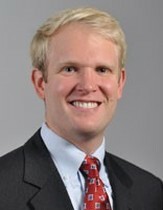 Cullen is a current MBA candidate at Duke University’s Fuqua School of Business, class of 2016. He previously worked at Procter & Gamble in various engineering management roles across the Global Beauty business. His scope of work included regional and global projects, as well as upstream and downstream technology innovations on brands such as Pantene and Nice & Easy. 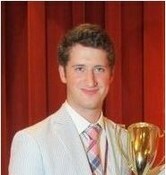 Cullen received his Bachelor of Science in Mechanical Engineering from Texas A&M University. 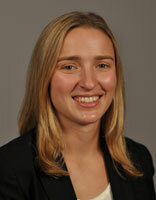 Jamie is a second year MBA student at the Fuqua School of Business. Prior to business school, she worked for KPMG in Hong Kong for four years. This summer, she interned at RBC Capital Markets in their Technology Investment Banking Group in New York. 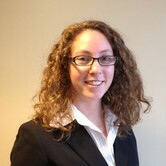 Anne is a second year master of public policy student at the Sanford School. Before joining Duke, she was the Program Coordinator for Latin America and the Caribbean at Ipas, an international women’s health NGO based in Chapel Hill, NC. Anne graduated with a B.A. in Spanish and international relations from Smith College in 2006. 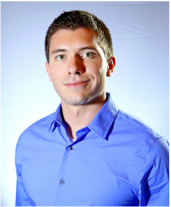 Christopher is a first year Ph.D. student in Mechanical Engineering and Material Science. 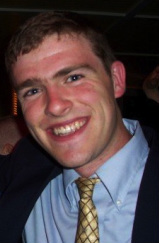 Prior to enrolling at Duke, Christopher earned a BS in Bio-medical Engineering at Boston University, where he also enjoyed working with several charitable and philanthropic organizations, including the Boston Firefighters Burn Foundation, the Children’s Glaucoma Foundation, and Habitat for Humanity. Christopher is interested in the progression of human health through big-data analytics and pharmaceutical innovation. In his spare time, Chris enjoys competing athletically, spending a sunny day by the ocean, and as a Massachusetts native, he is a devout Boston sports fan. Alex is in her first year of Duke's Masters Divinity Program. She is a native New Yorker and graduated from Davidson College in 2009. Prior to attending Duke, Alex worked for international development NGO Save the Children in Westport, CT. In her first role at Save the Children, she worked with the international operations team in the realm of grants management and planning and reporting. In her most recent role, she served as the Manager of Global Sponsorship Operations, providing financial, operational, and programmatic support and oversight to Country Offices in Central America, the Caribbean, and Africa. Alex is interested in the intersections of Christian theology, social justice, policy, international development, and philanthropy. Prior to enrolling for an MBA at Fuqua, Blaise served on the staff of the U.S. Senate Committee on Finance, where he advised the Committee’s Chairman on tax and budget policy. As an analyst for the Finance Committee, Blaise developed legislative provisions for the Affordable Care Act, the Tax Relief Act of 2010, the Budget Control Act of 2011 and the Bowles-Simpson Commission. Following his time on Capitol Hill, Blaise advised institutional investors on tax and financial services issues as an analyst for an investment research provider. Blaise received his undergraduate degree in Public Policy Studies from Duke in 2009. Originally from Vermont, Blaise is an avid backpacker and alpine skier. Christine concentrates her MBA candidacy on finance and accounting. 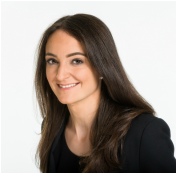 Prior to enrolling at Duke, Christine spent four years in Citigroup’s Investment and Corporate Bank within the Global Energy Group. She graduated from Cornell University in 2009 with a Master of Science in Operations Research and Information Engineering. 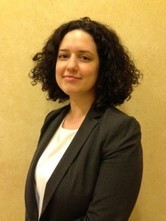 Elizabeth is a Master of Management Studies candidate at Fuqua. 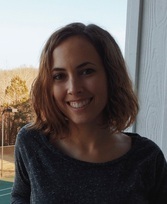 Prior to attending Duke, Elizabeth worked as a healthcare IT consultant for Wake Forest Baptist Health and the Duke Eye Center. 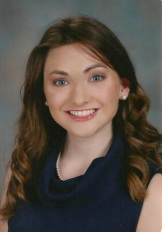 Elizabeth grew up in Virginia and attended Wake Forest University where she graduated with her BS in Biology in 2012. Originally from the Dominican Republic, Manuel Diaz graduated in 2009 from Utah State University with bachelor’s degrees in Mathematics and Civil Engineering. He now pursues a Ph.D. in Computational Mechanics and researches novel strategies for the nondestructive characterization of materials, which has potential applications in the early detection and diagnosis of cancer. In his spare time, Manuel enjoys exercising, watching movies, and playing table tennis. Richard currently is in the Master of Engineering Management program. Proudly from Miami, Florida, he majored in Operations Research and Information Engineering at Cornell University for his undergraduate degree. His long-term career goal is to use data analytics to improve healthcare and/or education policy in the United States. With an especially multi-cultural family and upbringing (Cuban, Ghanaian, Polish, German, Jamaican, Haitian), Richard loves diversity and strives to be a well-rounded, open minded individual. He's a music fanatic and loves using any and every kind of music (except dubstep) to connect with people from different walks of life. Richard's hobbies include cooking, writing, photography and soccer. 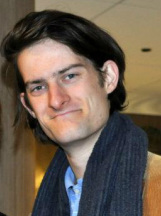 Timothy Curtin is an MPP Candidate (2015) at the Sanford School of Public Policy. Originally from Boca Raton, Florida, Tim earned his BA in Political Science and Religion from the University of Florida in December 2009. 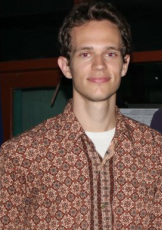 Before enrolling at Duke, he spent two years as a Peace Corps Volunteer in East Java, Indonesia. Tim's primary assignment in the Peace Corps was teaching English at a rural Islamic high school. 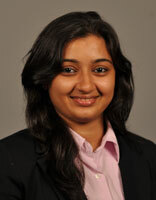 Zeel Shah is an MMS Candidate at The Fuqua School of Business. Before coming to Duke, Zeel studied engineering at V.J.T.I in Mumbai, India. She was a part of a non-profit organization that provides a platform for budding entrepreneurs to find resources, mentorship and funding. 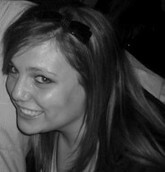 She is interested in Strategy and Corporate Finance and is very passionate about social entrepreneurship and start ups. She loves dancing, cooking and traveling.